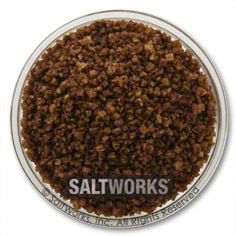 Espresso Brava Sea Salt – Fusion ®. 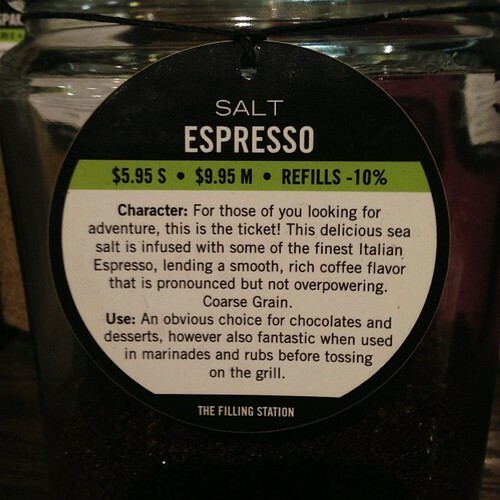 Yup this is salt infused with espresso. Sea Salt. Have I tried it? Nope… Do I want to? Yup! it makes a good case for itself. And I do use coffee and espresso in dessert baking and steak grilling why not marry two of the higher use items into one lovely little package? photo credit and hat tip to Gservo!